International tax planning is a complex field where a deep understanding of the international tax knowledge (tax laws) and multiple tax jurisdiction and there are many fundamental issues to consider before establishing the optimum tax corporate structure. International tax planning offered by Paul Hype Page & Co ensure that both your business and personal financial affairs are structured as tax efficiently as possible and that your compliance needs are dealt with in a cost effective manner. At Paul Hype Page, we ensure that time is taken to develop a thorough understanding of your business, your personal circumstances and your plans for the future before using our independently acclaimed technical skills to provide the best solution to minimize your tax liabilities. With Paul Hype Page, we are able to provide multi jurisdictional advice across the globe to ensure you have complete peace of mind. We offer international Tax planning strategy for private individual or corporations (intl). Depending on the industry you’re in, we’ll offer tax planning services to better manage your liabilities and assets. For Every business owner, the ultimate goal is to earn profits in the best possible way, with careful and legal tax planning by Paul Hype Page helps you to save your tax liabilities. Current taxation pressure on companies means that it is not enough merely to adopt specific tax-saving procedures that anticipate the simple formation of companies in jurisdictions different to the residence of the taxable person. Today, it is a much more complicated process to evaluate all the potential solutions. Below are some examples and is not an exhaustive. Intellectual properties include computer software, technical knowledge, patents, trademarks, trade secrets, and copyrights can be hold by offshore companies. Further, the right of these intellectual properties generating royalties and licensing fees is assigned to another offshore company via license or franchise agreements in a lower tax rate jurisdiction hence minimize tax. International tax planning is very useful for groups of companies that have lot of intra-company and inter-company financial management functions, such as granting of loans for project finance or working capital requirements. The reason is that double tax agreements between countries will allow Interest payments to be tax deductible in the country of the borrower reducing the overall corporation tax liability. Using an international investment holding company in the right jurisdiction parking investment assets such as stocks, shares, securities, bonds, and mutual funds allows for confidentiality of ownership and significant tax advantages by reducing or eliminate withholding taxes on investment income. An effective international tax planning with the right structure of ownership allows shareholders of the offshore company that own real estate property both in the international jurisdiction of incorporation and other countries including the country of residence reduce capital gains and inheritance taxes. International tax planning is very useful for companies’ international trade such as re-exporting and transhipment trade or consulting Services in the form of international marketing and promotion in international markets. With an effective tax planning the resulting profit can be parked in a tax beneficial regime offshore that attract lower tax liabilities. To Encourage foreign capital inflows, Singapore provides a comprehensive program of incentives based primarily on consideration such as total investment involved, technical input, export potential, employment opportunities and general cohesiveness to the development of industrial and financial activity. Individuals who inherit wealth can use offshore structures such as Singapore where there is no inheritance tax. To achieve a successful process it is advisable to set up before inheritance of wealth. Entrepreneurs who start off with an offshore structure using BVI and their own residence’s company/offices can helps to protect their assets and minimize tax from local authority. By assigning intellectual property rights and innovation rights to an offshore corporation, inventors, engineers, and designers can ensure revenue and royalties are received through an offshore corporation, as the owner of such rights, rather than have these revenues come to them personally. Singapore Tax residence receiving foreign sourced income from offshore corporation does not attract any tax. For having an offshore companies such as Singapore Company where it can act as holding areas for investments made in a number of different markets and countries. Singapore company receiving dividend, services income and other are deemed as foreign source income does not attracts any tax. International tax planning must be conducted in a legitimate way and not deemed as Tax evasion while still achieves business objectives. Applying a well researched international network of tax jurisdiction and legislation knowledge to construct the most tax efficient corporate structure is crucial to minimise international tax liabilities. Understand the company’s income source and business objective matching its requirements with latest tax legislation. With a good tax structured companies there is no need to pay tax on revenues sourced outside the country. Client’s confidentiality is crucial in our approach to an effective international tax planning strategy where some offshore jurisdictions there is no public register i.e. shareholders’ and directors’ details are not available for public viewing. International Tax Planning certainly involved understanding of Double Taxation Treaties of countries involved. This ensure that our clients get benefits of the availability of tax reliefs exists in the double tax agreement. With the right tax structure corporate, it prevents the clients from paying taxes in two jurisdictions and reduce withholding taxes with the group of companies. An effective international tax planning strategy must also consider the client’s business image hence the choice of jurisdiction is very also an important factor to consider. Using Singapore as the choice of jurisdiction is good as it is not consider as tax haven in OCED list and yet has a good reputation for business’s image. An effective international tax planning strategy should comprise a corporate bank account with a reputable international bank registering in a secure location / states. Selecting a tax advisory professional that can provide the latest International tax legislation as it is the crucial factor as business needs are changing constantly to any successful tax minimization strategy. International tax planning is a crucial business activity that, if neglected, can cause a series of serious legal and financial issues that will cause a dramatic decline in business growth and can result in the cessation of international activities for the business. To ensure that it doesn’t happen, you need our International Tax Services. *Please note that the tax advice herein does not constitute legal advice and should not be taken as such. Our client (“A”), a Singapore / overseas citizen currently residing in overseas, is in the business of providing online / E commerce services. 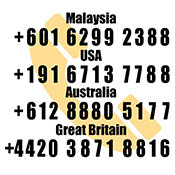 A currently have clients worldwide and A is able and willing to live and work in either Singapore or overseas, with a preference for the former. For the purposes of this tax advice, it is assumed that A will be performing services in Singapore only (as Singapore tax rates is lower than most jurisdation). (a) A will incorporate and own a Hong Kong private limited company (“HK Co”), which will enter into services agreements with online client. (b) A’s business partner (“B”) will incorporate and own a Singapore private limited company (“SG Co”). (c) HK Co will subcontract the services required under the marketing services agreements to SG Co. SG Co will be remunerated at a “subsidized rate”. It is assumed that the services will be rendered by SG Co’s employees in Singapore. Under the Proposed Structure, SG Co will be subject to tax at the prevailing corporate tax rate (i.e. 17%, subject to any partial tax exemption for companies or full tax exemption for qualifying start-up companies, if applicable) in respect of the service income paid to it by HK Co. As SG Co and HK Co are strictly speaking not related parties, it should not be a problem to remunerate SG Co at a “subsidized rate” as transfer pricing requirements would not prima facie be applicable. Any dividends distributed by HK Co to A as shareholder in Singapore will be exempt from tax in Hong Kong, as well as in Singapore under the Foreign Source Income Exemption. However, any profits attributed to HK Co (i.e. the difference between the service fee payable to HK Co under the marketing services agreements and the subsidized service fee payable by HK Co to SG Co may or may not be considered to be sourced in Hong Kong. This is important as Hong Kong adopts a pure territorial basis of taxation, which means that this profit will only be taxable in Hong Kong if it is considered to be sourced in Hong Kong. While there are a number of case law principles that have been formulated over the years for the purposes of determining the source of an income, the issue of source of income is nevertheless still a “hard, practical matter of fact” which depends on the facts of the case. As a matter of revenue practice, it is noted that the Hong Kong Inland Revenue Department (“IRD”) has in Advance Ruling Case No. 46 ruled that the applicant, a Hong Kong company which has derived service income for services rendered wholly by its employees and the employees of another related company with which the Hong Kong company has a service agreement outside of Hong Kong, did not derive any Hong Kong sourced service income. This appears to be consistent with the IRD’s position in its publication entitled A Simple Guide on the Territorial Source Principle of Taxation that service fee income is taxable “if the services which give rise to the payment of the fees are performed in Hong Kong”. However, it should be noted that in Advance Ruling Case No. 46 (as well as other favorable advance ruling cases in relation to source of service fees, e.g. No. 23 and 36), there appears to be a commercial reason for outsourcing the work (e.g. it is either necessary or expedient for the employee providing the services to be physically in the jurisdiction in which the services are actually required). This should be contrasted with the present facts where the clients are in Canada and China, and therefore, there is no readily apparent commercial reason why the services must be provided remotely out of Singapore (as opposed to Hong Kong which is geographically even nearer to China). As there appears to be some differences in the facts of the present case and those of the favorable advance rulings, there is a chance that the profits attributed to HK Co may nevertheless still be considered to be Hong Kong sourced by the IRD, and therefore may be subject to profits tax in Hong Kong, even if the contracts are negotiated and concluded outside of Hong Kong. If so, what little tax benefit that may be derived from the small differential in corporate tax rates in Singapore and Hong Kong may well be offset by the additional compliance cost in setting up and maintaining HK Co, as well as the partial tax exemption for companies in Singapore. Another risk in relation to the Proposed Structure is that A will not be in control of SG Co. Therefore, care should be taken in relation to the legal arrangement and documentation to ensure that A’s interest under the Proposed Structure will not be compromised in future, should relations with B take a turn for the worse. As for potential tax consequences arising from exiting the investment, the main question is whether the gains derived from subsequent disposal of shares in HK Co and/or SG Co will be treated as taxable revenue gains or non-taxable capital gains. This is a question of mixed law and fact. Generally, the courts will consider a number of factors in determining whether the gains are taxable or not, including: (a) subject matter of realization, (b) frequency of similar transactions, (c) supplemental work on the property realized, (d) motive, (e) circumstances responsible for the realization; (f) length of period of ownership; (g) financing method; and (h) classification of asset in accounting records. Unless the shares in HK Co and/or SG Co are disposed of within a short period of time, it would generally be unlikely that the gains derived therefrom will be treated as taxable gains. It should also be borne in mind that the transfer of shares will generally attract stamp duty in both Singapore (0.2% of the consideration or net asset value, whichever is higher) and Hong Kong, which can be substantial if the consideration for the shares is significant. This is a slight variation of the Proposed Structure. Advance Ruling Case No. 36 suggests that where a service provider provides services through its employees completely outside Hong Kong, the service income derived therefrom will be treated as foreign sourced income that is not subject to profits tax in Hong Kong. However, the same caveat applies, i.e. given that there is no commercial reason to outsource the work to Singapore, there is no guarantee that the IRD will follow these precedent rulings. However, this alternative has the benefit of incurring only one set of compliance cost (i.e. that of setting up and maintaining a Hong Kong company), and unlike the Proposed Structure, it will only attract one set of stamp duty upon disposal of the shares (although in reality that should not make a difference if the aggregate net asset value of the shares of HK Co and SG Co is the same as that of HK Co in this alternative). It also avoids the risk associated with ceding control of the company to another person. Of course, repatriation of profits in the form of dividends to A will not attract any tax in Singapore and Hong Kong. However, this alternative raises an additional challenge in terms of A’s personal income tax liabilities (as well as that of other employees of HK Co). Since A will be performing the services in Singapore, the Inland Revenue Authority of Singapore (“IRAS”) will generally treat A’s employment income as Singapore sourced, and therefore subject to Singapore income tax. At the same time, there is a risk that it may be classified as Hong Kong employment income, which may attract Hong Kong salaries tax. This is important as Singapore does not have a comprehensive avoidance of double taxation agreement with Hong Kong, and therefore, if both jurisdictions are to tax on A’s employment income, he will be subject to double taxation on the same. (c) where the employee’s remuneration is paid to him,whether in Hong Kong or outside Hong Kong. (a) and (c) can be easily arranged to be done or performed outside Hong Kong. As for (b), the IRD has indicated that it will look at where the company’s central management and control is located, and in this regard, importance is generally attached to the place where the board meetings of the company are held. As such, provided that the board meetings of HK Co are held in a country other than Singapore and Hong Kong, the IRD is unlikely to be regard A’s employment income as Hong Kong sourced. Another alternative is to set up a company in the Cayman Islands or another jurisdiction which does not impose a tax on profits, and another company in Singapore to provide the services. This ensures that the share of profit allocated to the Cayman company will not be subject to any income tax. There is also no issue of stamp duty or capital gains upon disposal of the shares in a Cayman company. However, the reality is that the Cayman Islands (as well as other traditional tax haven jurisdictions) are now under a lot of scrutiny, which means that this may attract the risk of a tax audit and investigation, and consequentially a higher chance of being struck down as impermissible tax avoidance. Also, A’s clients may not be comfortable entering into agreements with a company located in a tax haven jurisdiction. It should also be borne in mind that if the services to be provided from Singapore will or will be expected to exceed S$1 million, there will be a need to register for GST in Singapore (although the provision of services to overseas clients will probably qualify for zero-rating as provision of international services – but note that zero-rated supplied are still to be taken into consideration in determining liability to register). Need International Tax Planning Services? A well thought-out international tax planning strategy is not merely setting layers of tax haven companies to hide from tax authority as it may be deemed as Tax evasion. Many companies believe that tax planning merely involves re-domiciliation and Change of residence procedure in order to achieve tax advantages but this often proves to be a prejudice that does not correspond to the reality. 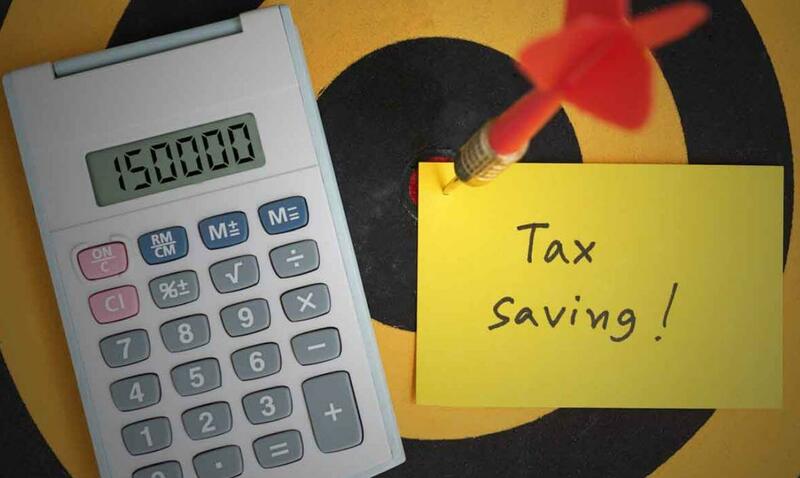 A successful tax planning that provides different options for tax-optimization, it is of vital importance to cooperate with a professional tax consultant that is able to provide different options for Tax avoidance purposes. Accounting for my Singaporean Company named Box Genius Pte. Ltd. Newly formed in May 2014. Our consultant will call you shortly with regards to your enquires about tax planning.